Posted by AAPC on June 12, 2012 | Comments Off on Rio Olympics 2016: Legacy or Fallacy? 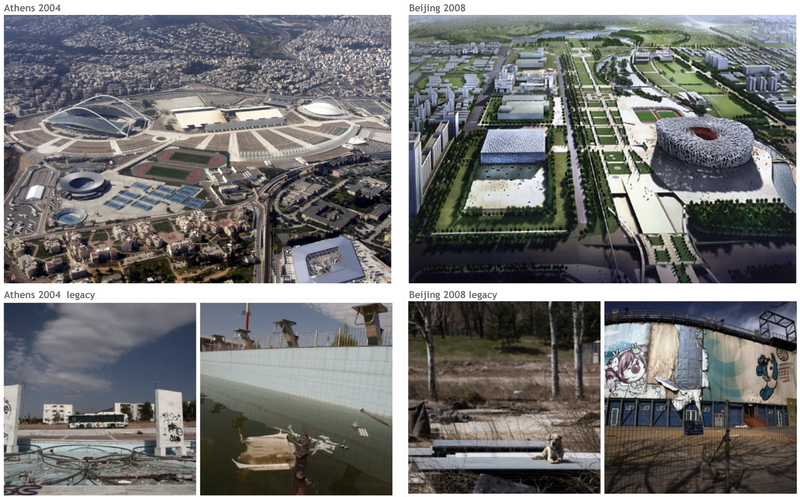 One of the main arguments for hosting the Olympic Games these days is its potential legacy. This is what a city can gain at the end of an event of only 45 days (Olympics and Paralympics), which in the case of Rio will cost £8.8 billion. The Olympics are commonly used by governments to argue for investment and therefore are marketed as an opportunity for a city to go through deep transformations that will create long-term investment in infrastructures, tourism, and employment (Gold 2011). And now, more than ever, the promise of a legacy becomes an argument and justification for the large amount of public money invested in this event. “Legacy” is used to describe potential gain, not only that of infrastructure and sport venues, but also as a provider of cultural, economic, political, and social benefits (Kassens-Noor 2012). In reality, there are several difficulties in quantifying or qualifying legacy, since many of these gains are subjective and ill-defined, making their precise evaluation at best difficult. While the more tangible gains, like stadiums and sport venues, are easily quantified, they are due to their specific function designed for a one-off event and often difficult to re-use, presenting a problem of extreme redundancy. Thus, the Olympic Legacy creates two problems: the social, psychological and economic legacy is hard to measure and the legacy of physical structures is often more a burden and redundant than useful for future uses. Once the Games are over, it takes additional large-scale investment and planning (not envisaged initially) to convert these structures and it is not uncommon to leave them unused or even to demolish them. In the Rio de Janeiro 2016 Olympic Games this general problem of future benefits is also evident, and was already anticipated by the unfulfilled promises made by the 2007 Pan American Games, which vastly went over budget costing £350 millions (initially budgeted for £150 millions). For example, the Velodrome built will be demolished and a new one constructed for the Games, as the old one does not comply with Olympic regulations (Gibson 2009); the Olympic Village, because of its poor construction quality, has 40% of its units still unoccupied (Kfouri 2011); and the Aquatic Sports Arena cost £27.5 millions to built and £1.3 million every year to maintain, is hardly used; most of the equipment and facilities for the rowing competition were abandoned and are now unusable (Maia 2012). Arguably the only successful example is the Sport Arena that was rented by a French group, but is now used to host music concerts (80%), private events (18%), and only one or two sport events a year. Legacy is evidently more a promise than a reality. 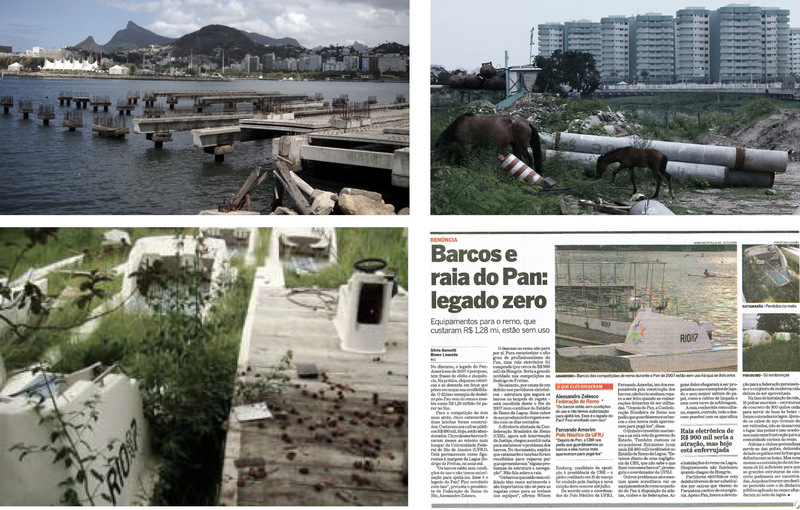 Based on this, the questions arise on how to deal with the legacy aims of the 2016 Games, purported to be: ecological restoration, security, and public space provision (Rio 2008). Given its dubious history, we have to question these aims and ask how to conceive or define a relevant legacy for Rio. 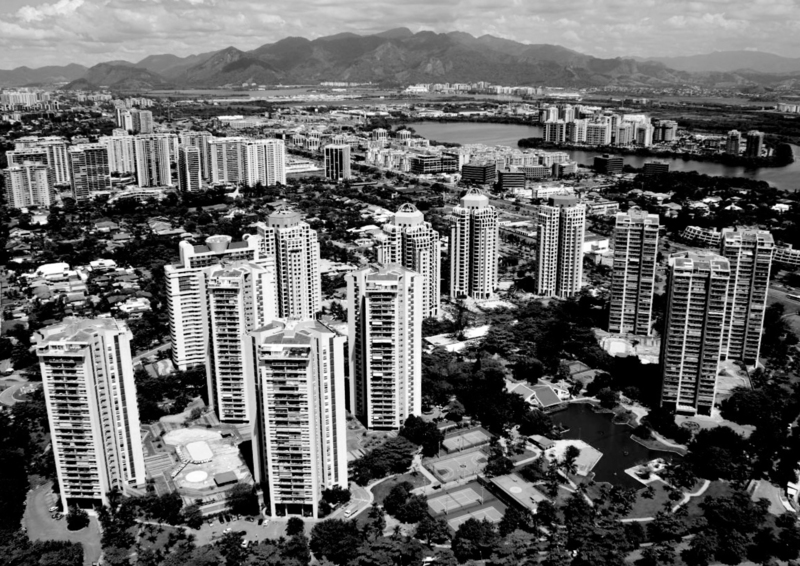 How can we understand the demand for security in the wider context of Barra da Tijuca in Rio that is characterised by high-security gated housing for the upper-middle class and fear of violence; how can we understand public spaces in an area from which the state has retreated and left its design to private developers that cater for the rich and deliberately excludes the lower classes? 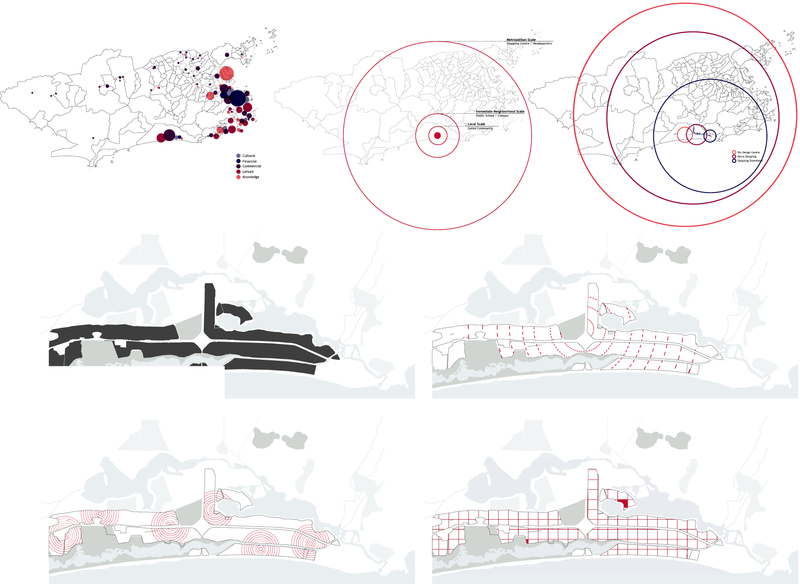 Due to its specific social exclusion, a product of converging political and private interests, Barra can be defined as a sequence of enclaves that are aligned along a highway. Insecurity and segregation made Barra a model district of gated communities in which shopping centres and high-security housing dominate. The alcove creates a particular condition that is defined by considerations of privacy, ownership, mobility and programme: it gives access to private spaces without being “invited and without being part of the host’s family. 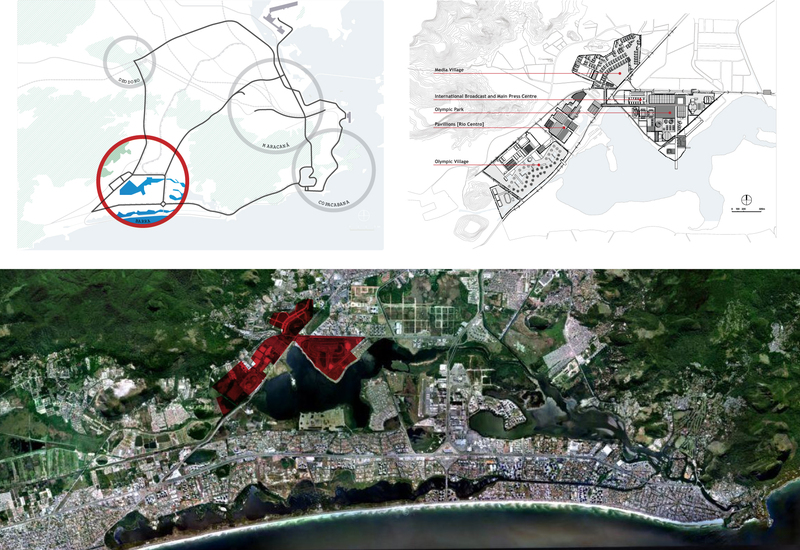 The Olympic Park, as a temporary event, will operate similar to the existing “gated” model in Barra, with security and accessibility for its visitors and inhabitants the most important aspects. 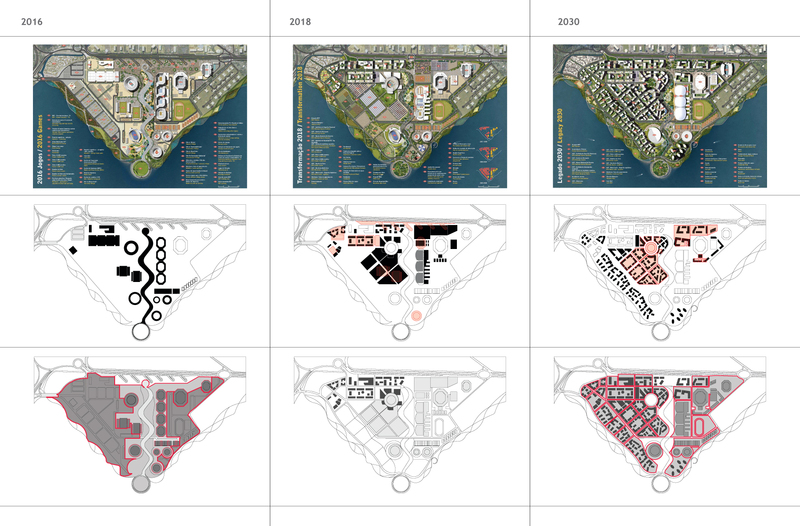 After the event and during its legacy phase, it is to become the completed opposite: publicly accessible and offer an open city that currently does not exist there. 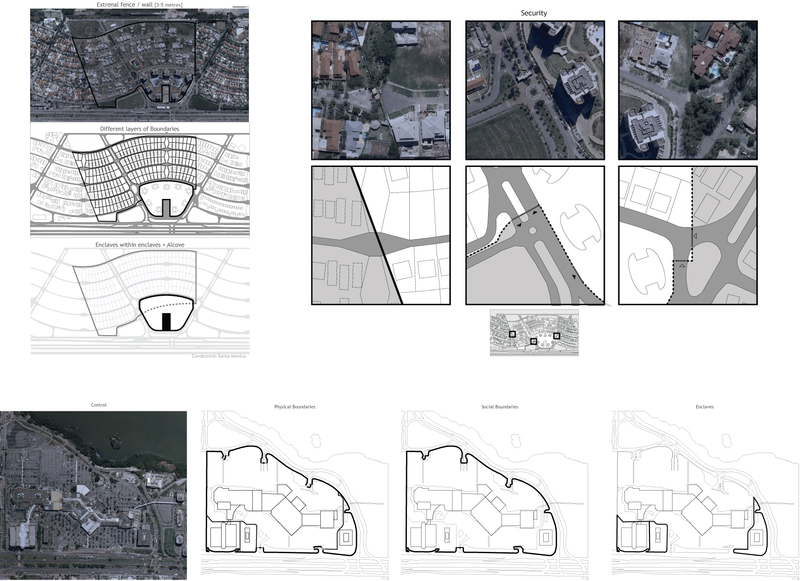 Designed by AECOM, the master plan presents a two stage legacy: the first after two years, with parks and temporary functions like tree nurseries, open air cinemas, green houses, and other examples of light structures; and the second one, twelve years later, when the sport venues are reused, as well as the remaining residential and commercial buildings (Minner 2012). 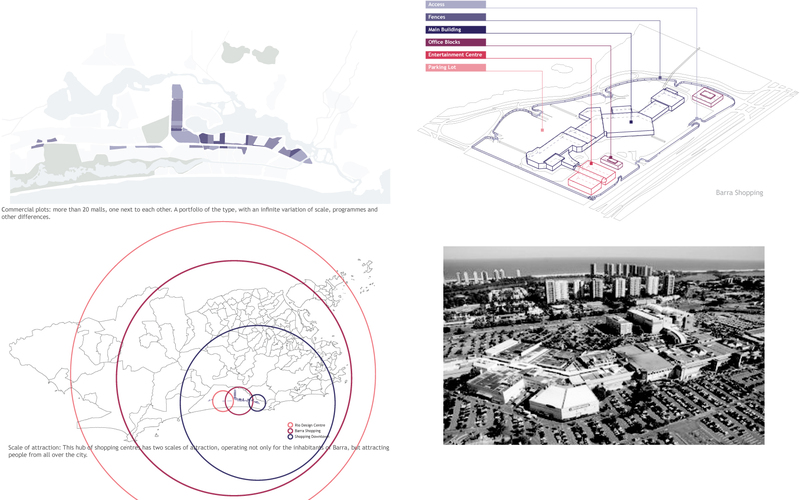 Given these circumstances: How can the Olympic Park be a new model of a gated community, in which public infrastructures [alcoves] are not just insertions but an integral part negotiation between the private communities and the general public? 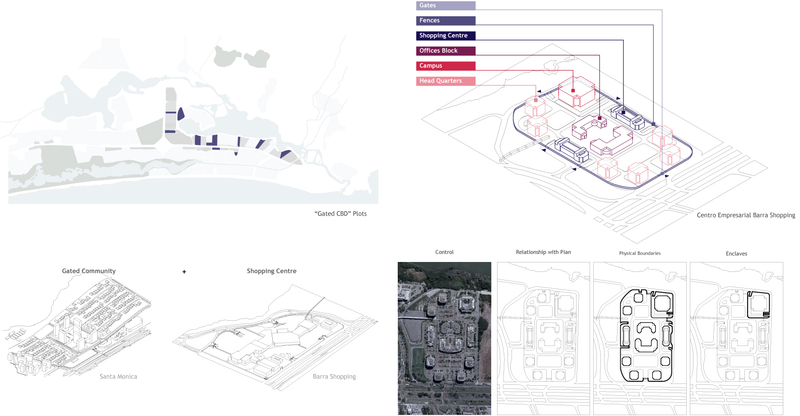 In addition, can we design Olympic structures as permanent public infrastructure that only temporarily become adapted as an Olympic venue, reversing the conventional order of its planning? 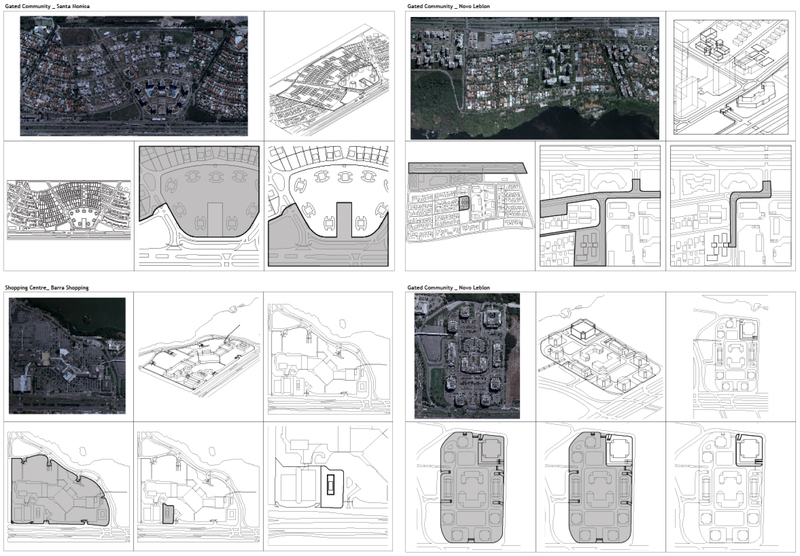 And finally, how can the Olympic Park be a new model for Barra?